External Affairs Minister Sushma Swaraj on Tuesday highlighted the efforts of India to tighten its ties with the Association of Southeast Asian Nations (ASEAN), while maintaining that New Delhi's engagement in South-East Asia is reflected by their 'Look East Policy' becoming 'Act East Policy'. "We have enhanced our engagement in South-East Asia. 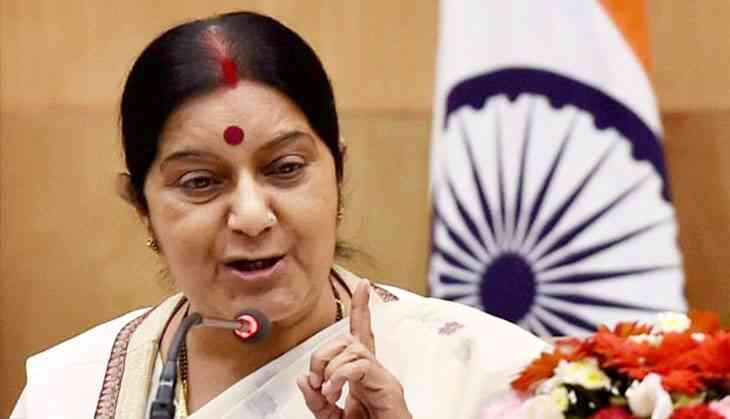 This was reflected in Prime Minister Narendra Modi's remarks in 2014 at the India-ASEAN Summit in Myanmar where he declared that India's 'Look East Policy' has become 'Act East Policy'," Swaraj said while addressing the ministerial session of 'Delhi Dialogue-IX'. Swaraj reiterated the same, saying that India places ASEAN at heart of its 'Act East Policy' and center of its dream of an Asian century. The External Affairs Minister stressed on the future focus areas of cooperation between India and ASEAN countries, describing them in terms of three Cs. Talking about the very recent Goods and Service Tax (GST) rollout by the Centre, Swaraj invited companies from ASEAN countries to invest in India and thereby, gain advantage out of it. "Recently, the Government launched the GST, the biggest tax reform since Independence. These steps opened new opportunities for trade, investment into India. I invite companies from the ASEAN countries to take advantage of these opportunities for investment in India, in numerous sectors," she said. Swaraj also highlighted the initiatives undertaken by the Government in the recent times. "Today, India is one of fastest growing major economies in the world. In the last three years, the Government of India has undertaken a number of initiatives. We have also introduced a series of reforms to improve the business environment in India," Swaraj said. "We are making efforts on all fronts to enhance physical and digital connectivity," she added. Very shortly, India will launch the India-ASEAN women business forum which will establish a network of women entrepreneurs and professionals, thereby facilitating regular engagement and contribution of women leaders in enhancing trade and investment. "We have planned a youth summit in August to bring our young leaders together," Swaraj further said. The ninth edition of Delhi Dialogue is underway in New Delhi, the theme of which is 'India-ASEAN relations: Charting the Course for the Next 25 Years'.